This Halloween I searched for the perfect costume, but due to my body type just nothing seemed to fit me right or look very flattering. 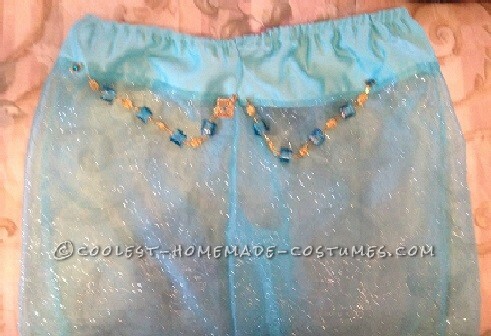 I was really discouraged and did not know what I was going to wear on Halloween. On Tuesday I was at home looking through some old pictures I found one of myself and my sister when I was about 5 dressed as Jasmine. I don\’t exactly know why but in that moment I decided that is what I wanted to be! I got out a piece of paper and started drawing exactly what I wanted the costume to look like. 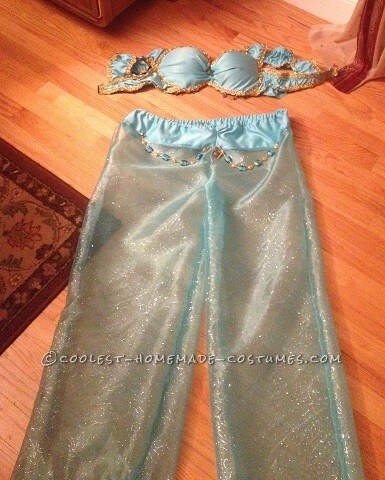 I didn\’t want to go for the traditional Jasmine costume and I wanted her to look very unique! 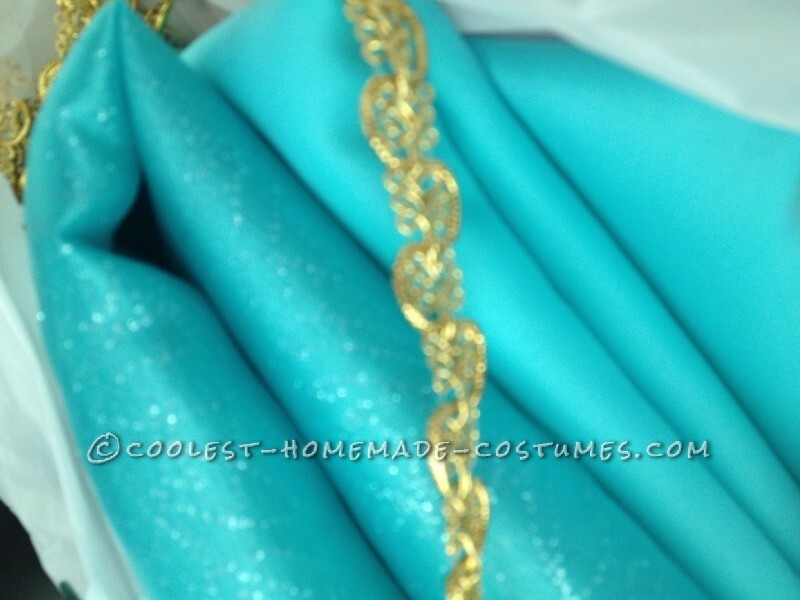 On Wednesday I went to JoAnne\’s Fabric and AC Moore and I found everything that I would use to create my costume. I have never felt so confident and beautiful in anything I have ever worn! Everywhere I went, and anyone who saw my costume stopped me and asked where I bought it because it must have cost me a fortune! When I told them I hand made it they were all shocked and told me that I was very talented and gifted. I even had a few people ask if I could make their costumes next year; which I said would not be a problem! One woman even told me that I should change my major from education and history to Fashion Design! Growing up I was always made fun of for being smart or ugly or fat and to this day I still have a lot of problems with my self esteem and I am very self conscience. I am constantly worried about how I look or how clothes fit me and it’s a very unsettling and awful feeling! However, this Halloween I felt absolutely phenomenal and I did not feel self conscience in the least; I truly felt like a PRINCESS! 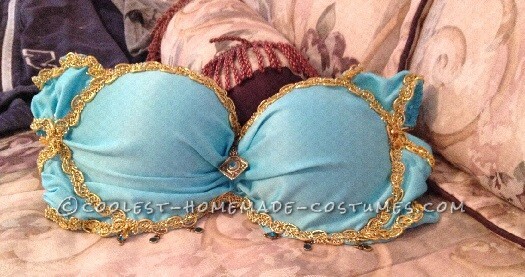 My costume is 90% homemade, and the only thing that was store bought completed was the bra. It took me a total of 10 hours to make this costume on Wednesday, and I could not be more proud of it! I feel as though my completion of this project stands as a testament to those who are constantly bullied or just cannot get over their feelings of low esteem; they are beautiful, talented, and perfect! Today I woke up and felt so great about myself, something I haven\’t felt in a while and I cannot wait to make something else!